Make your morning a wonderful one with Disney's Minnie Mouse! This Disney Minnie Mouse 18 oz. 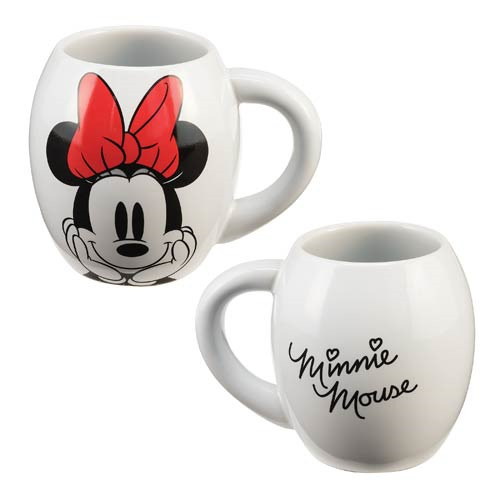 Oval Ceramic Mug features the ever-popular female counterpart to Disney's mousey mascot on one side of the mug along with her name written out on the other side. Oval mug holds up to 18 ounces of liquid. Measures approximately 4 1/2-inches tall. Ages 14 and up.